I’ve heard the old expression, once in a blue moon, all of my life, but only just recently found out where it comes from. 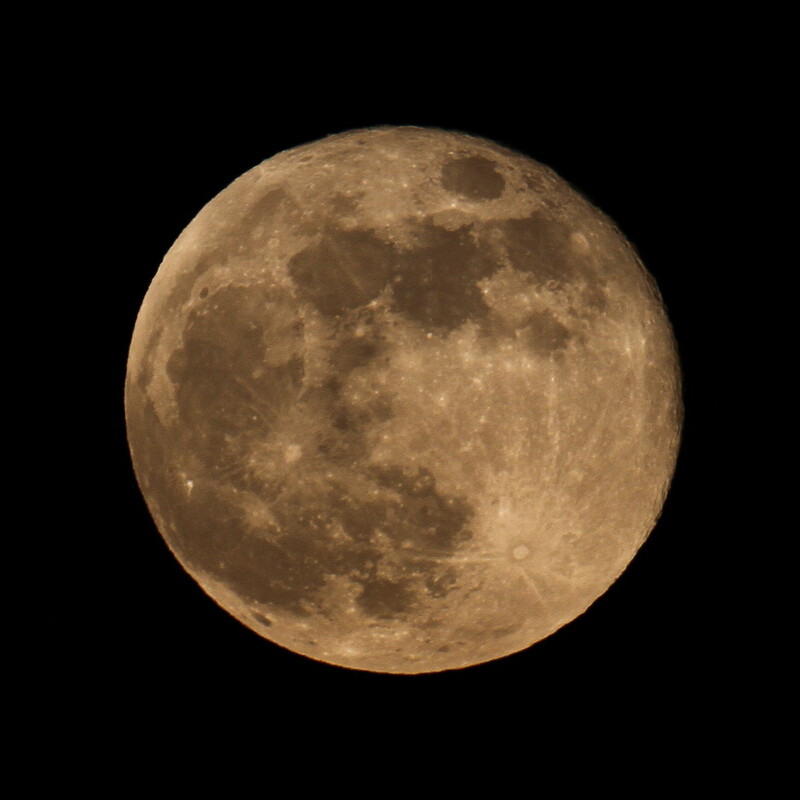 A blue moon is when there is a second full moon in a given calendar month. It isn’t really blue, of course. Although Sam Bland, an amazing photographer, one of the Ex-Ex’s best friends, brother-in-law to my sister-in-law, and uncle to the Adorable Granddaughter’s mom (have I confused you enough?) sent me a blue one recently, along with the other photos of the moon in this post. He used it in an article he wrote for Our Coast Magazine. I, too, am fascinated by the moon. I run outside with my iPhone or camera every time it appears, but my photos aren’t much to brag about. 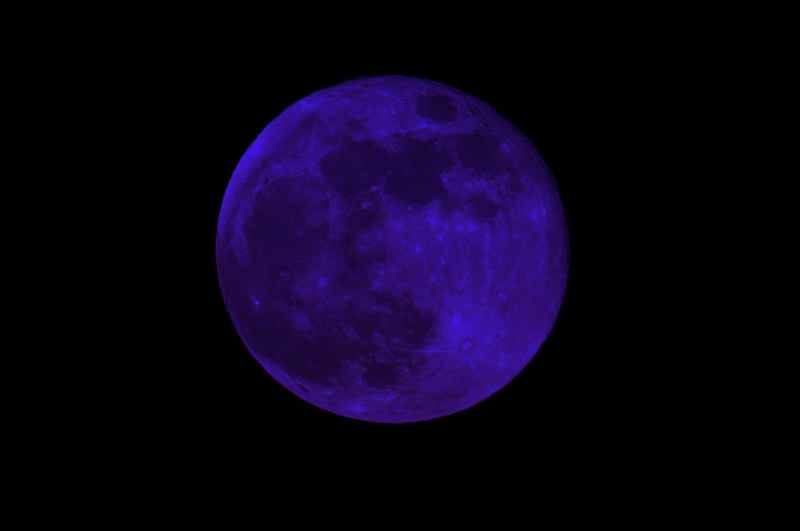 January 31 brought us the Blue Moon. And the day before that full moon brought the passing of the patriarch of our family. 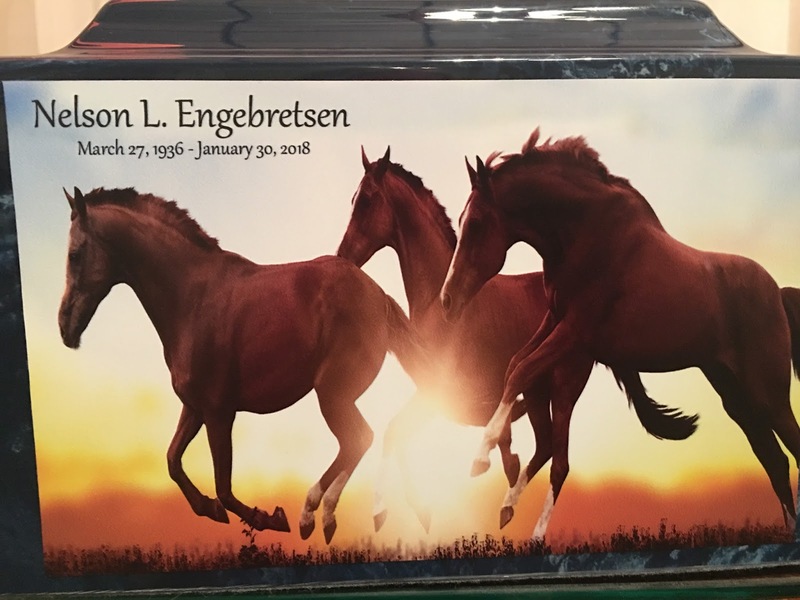 My father-in-law, Nelson Leonard Engebretsen, left us. I like to think that Nelson is somewhere on the other side of this moon looking down on us now. He would love the color of that blue moon because he was a die-hard Duke basketball fan. As a matter of fact, he watched Duke beat Notre Dame 88-66 from his hospital bed on January 29, his last night. Nelson was the kind of man you meet once in a blue moon. Ask my mother-in-law, his bride and best friend for 62 years. She told us yesterday that they met when she was 15 years old. Nelson and one of his buddies gave her a ride to the July 4 Sioux County, Nebraska rodeo. She sat between the two 17-year-olds in the cab of a pick-up truck and, as the drive to the fairgrounds progressed, she scooted closer and closer to Nelson and the rest is history. Nelson was a real cowboy, not the drugstore variety. He worked as a rancher and herdsman for most of his life, first in Nebraska then in North Carolina. He was tending cattle for TexasGulf when I came into the family in 1981. He worked for the state of Nebraska at Fort Robinson until 1970 when they closed the cattle operation there. A friend convinced him to move to Aurora, NC to tend cattle on reclaimed land after phosphate had been mined from it. He moved his bride and their three children, 1,850 miles from the only home they had known, leaving behind relatives and friends. I watched him tag cattle, birth calves, and corral steers. Nelson was an extraordinary ordinary man. He loved Nebraska Cornhusker football, Duke basketball, Nebraska wheat fields, the Black Hills, being outdoors, God, his cat Socks, grilling, a cold beer while mowing the grass, and his family. I am so lucky that I was able to call him my father-in-law. The Ex-Ex gave an amazing eulogy at his dad’s funeral service. I will let him take it from here. I’m a bit like my father- I do not cry often – but when I do, I don’t have much control over it, so bear with me. I’m Steve, the middle child and oldest son in our blessed family, and I am here to represent my sister Cindy, my brother David, and their families, as well as my wife and children. I am also here to represent my amazing mother, who along with Dad, provided us all with a loving, happy, fun, nurturing home. One that I wish every child could have growing up. 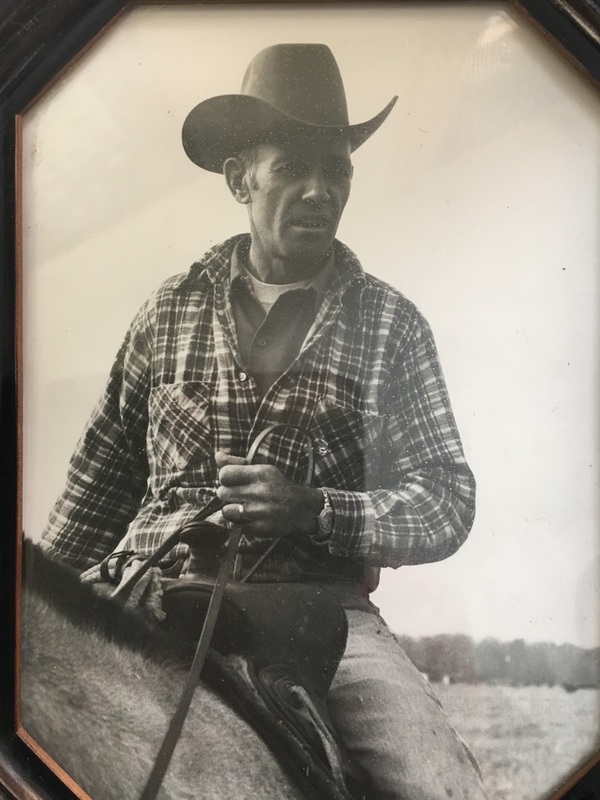 My father moved our family to Aurora in 1970, after living and working as a rancher and cattleman in Western Nebraska where he grew up. Dad then spent some of the best years of his life as the herdsman for the large cattle operation that TexasGulf included at the time. 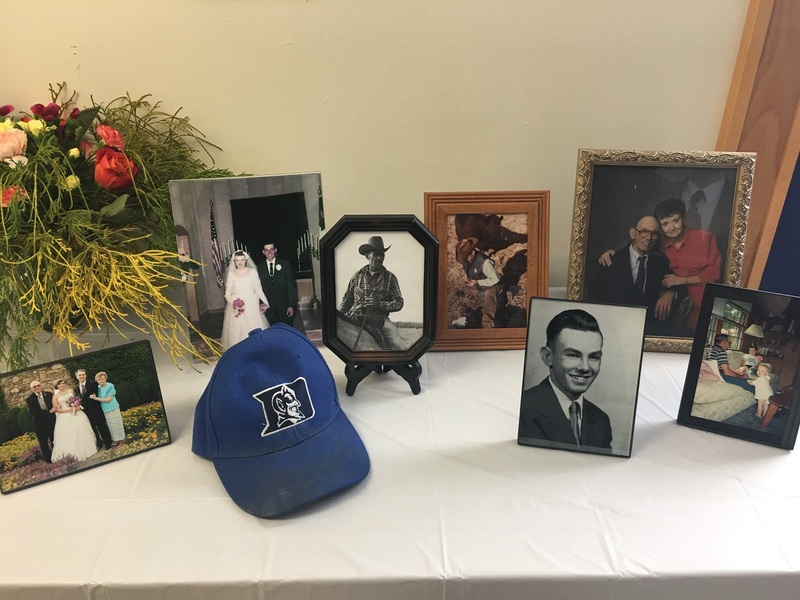 He became an important member of the TexasGulf and Aurora community- making friends, being involved in the lives of many people and getting to know just about everyone. Our family has often talked of the bravery it took to make that move in 1970. Moving three children ages 6-13 to a new land, a new job, a completely new way of life. But my Dad was wise and brave and turned this leap of faith into a great opportunity and a great life that we have all benefited from for the last 50 years. 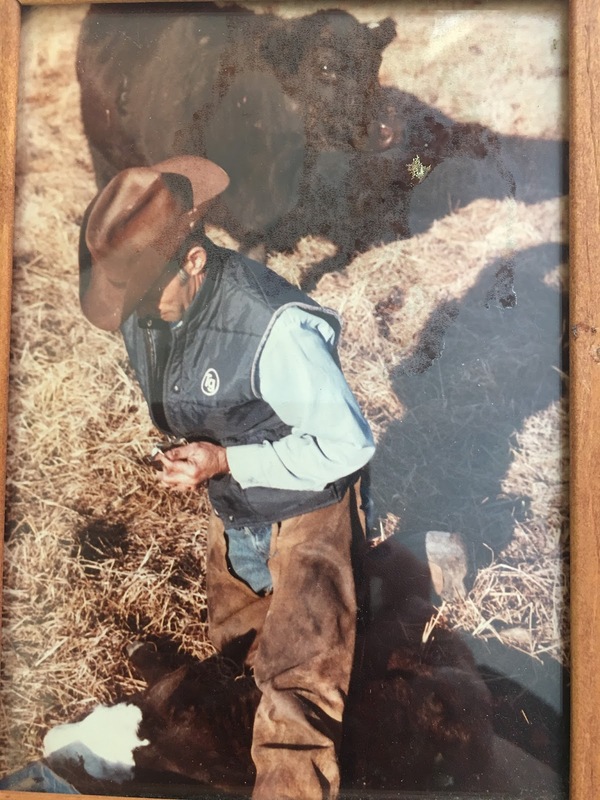 My Dad did a lot of things in his job over the years, but what he was best at and enjoyed the most was his time as a cattleman or, as his grandsons like to say, a cowboy, both in Nebraska and in North Carolina. To use a sports analogy, my Dad was an all-star. He was an all-star husband, an all-star father, an all-star grandfather, and, just recently, he became an all-star great-grandfather. He was also an all-star son and brother to his own family in Nebraska. He loved his own parents and two younger sisters very much. I think that many here would consider him an all-star friend or co-worker or community member- maybe one of the best any of us has ever known. My Dad was also any all-star “griller” throughout his 50’s, 60’s and 70’s. His skill was so intimidating- to the point where I am still reluctant to grill anything for the family! 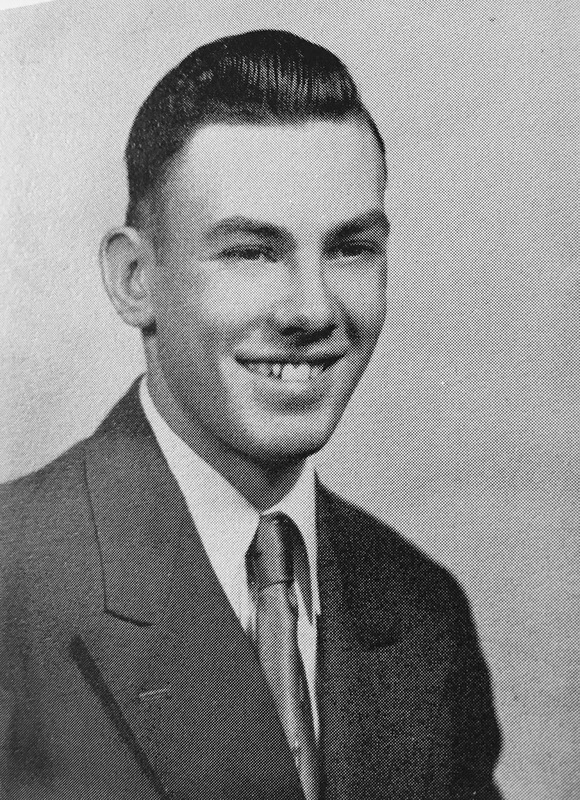 My Dad did not have a college education- but was perhaps the smartest man I know. He could be a man of few words at times- but when he spoke it was always best to listen- he was wise, and he was a great conversationalist. Dad was smart and he was talented. He could recall and loved to tell stories from the Nebraska days, his childhood, our teenage years, special times with his grandchildren, and all the more recent happenings of our family and special events in our lives. We all will always remember the twinkle in his eye and the smile on his face when spending time just being with him and talking to him. When his grandsons were younger we often found ourselves at Grandma and Grandad’s house on holidays. Dad had a VERY large jar for collecting pennies. Aaron, Jake and Grant were always fascinated by it. One day, my Dad told them “When I’m gone all those pennies will be yours!” It think it was the youngest, Grant, who said “Where are you going and when are you leaving, Granddad?” Dad just laughed and said “Nowhere for a while… you’ll have to wait a bit longer!” He retold that story dozens of times with a laugh. We all know where you are now, Dad. And Aaron, Jake and Grant- Grandma says you can come get that big heavy thing our of the house anytime! My Dad was famous, I think, to all of us here today. My Dad was rich. You see, our dad measured that type of thing differently and I believe he felt like one of the most blessed people ever. –Thank you for a lifetime of memories and for helping make my life full. –Keep helping people- try not to let things get too complicated and when in doubt, be kind to people. My Dad was, in my eyes, the ultimate example of how to be a good man. So, to me, David, Rick, Aaron, Jake and Grant- We have had an example right before our eyes of how to be a great father, spouse, in-law, brother, son, friend. Let’s all try to remember to follow that example and be better at all of those things. Living up to how he did it is some serious pressure, I know. But let’s try. To Cindy, Teresa, Kim, Katie, Elizabeth, Makayla and little Kennedy and Lily, my Dad has lived and shown you what you deserve from the men in your lives. Help the men in your lives live up to that- try to be the kind of mother, spouse, sister, friend that our mother has been in her nearly 62-year partnership with Dad. Sometimes it may take patience with this crowd of men! Mom, I’m pretty sure you’ve felt and heard Dad’s words of comfort and love to you in these past six days. Everyone in this room knows you were the light of his life. And that he was that to you. That will never change. And we all also know that he hopes– and expects– you to enjoy many more of those happy days with your family, friends and your church. We all need that and look forward to that with you. And we all love you. Bon appétit, mes amis. Love with all of your heart. Life and love are all too short.